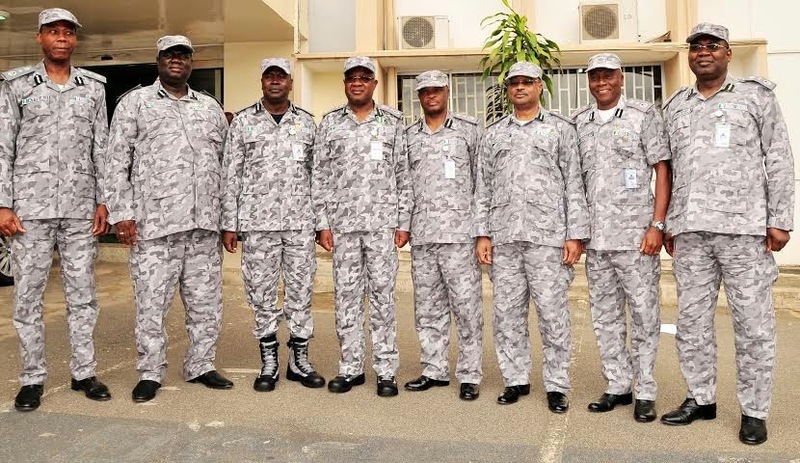 The Nigeria Customs Service has announced the promotion of 2065 senior officers who participated in the 2014 promotion exercise. Comptroller General of Customs, Dikko Inde Abdullahi gave the approval to release the promotion results following the conclusion of the promotion exercise and ratification by the Nigeria Customs Service Board, in Abuja. featured competitive computer-based examination and oral interviews were conducted in all customs formations in October and November last year. Breakdown of the promotion list indicates that 48 Deputy-Comptrollers were promoted to the rank of Comptroller, 81 Assistant-Comptrollers were promoted to Deputy-Comptrollers, while 112 Chief Superintendents of Customs were promoted to Assistant Comptrollers. Others include 32 Superintendents of Customs promoted to Chief Superintendents of Customs, 121 Deputy Superintendents of Customs to the rank of Superintendents of Customs, 65 Assistant Superintendents of Customs I to Deputy Superintendents of Customs and 15 Assistant Superintendents of Customs II to Assistant Superintendents of Customs I. A total number of 1,591 Officers benefited in the Inspectorate cadre. Out of these 1493 are general duty while 98 officers are support staff.